This week my older son stay at his grand mothers house. It seems that my younger son feel a little bored. 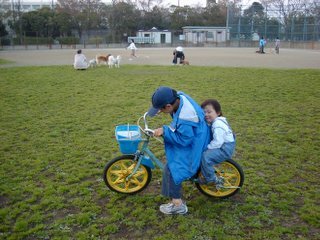 My younger son wants to stay with his older son. But he has poo and pee yet. His mother can't admit it. They want to play together. But they fight and argue about their toys soon. I want to live quietly. But they don't leave me. He wants to ride on his older son's bicyle. After that he fell to the ground. 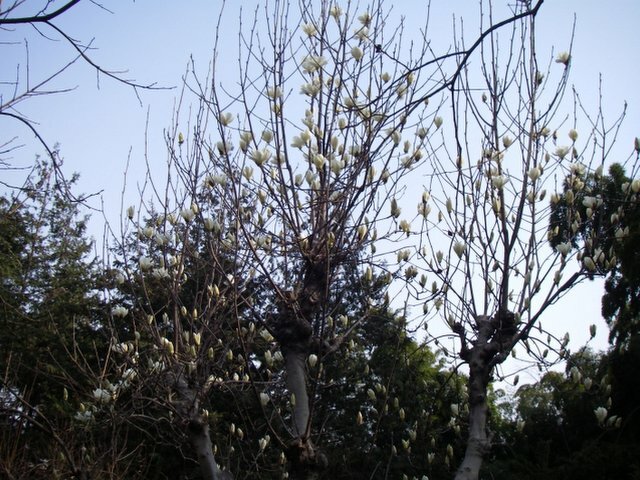 Szélső Fa , Yes, this is maybe magnolia called mokuren in Japanese. Their kind of colors are white and purple. 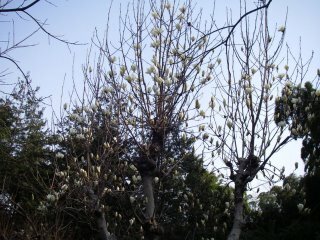 Some birds which called shrike eat the buds. My mother used to be upset it. They are good eater. We started to learn English (from) Junior high school, when we were young. And for me learning English just was to pass heigh school or university. I didn’t find that language was a tool to communicate with people, or communication was pleasant. Probably people who found pleasant lived Australia or somewhere. THis may be an excuse. 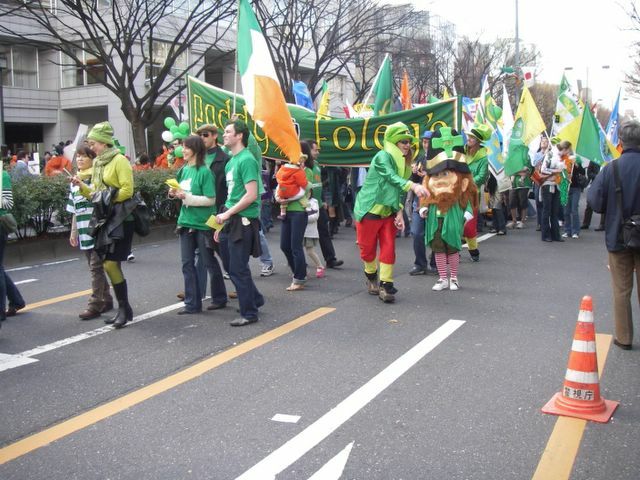 When I was young, we couldn’t see foreign people in our area. I couldn’t image to speak English with other people. Today, Japanese newspaper said students will start to be educated English in all elementary schools. I think that is not bad for my sons. I will post about English education for Japanese children next time, important or not. Anyway I think the will to communicate is my natural feeling. Today, the elemental school, which my older son goes, finished third period completely. He is on spring holiday tomorrow. He was given the school report from his teacher. Actually his school report was not good. Only art was level A. I think he had good job beautifully. I do not say that only a result for his age. I want him to go to the school pleasantly, and try to do anything actively. Also I think that he do not forget a kind feeling. 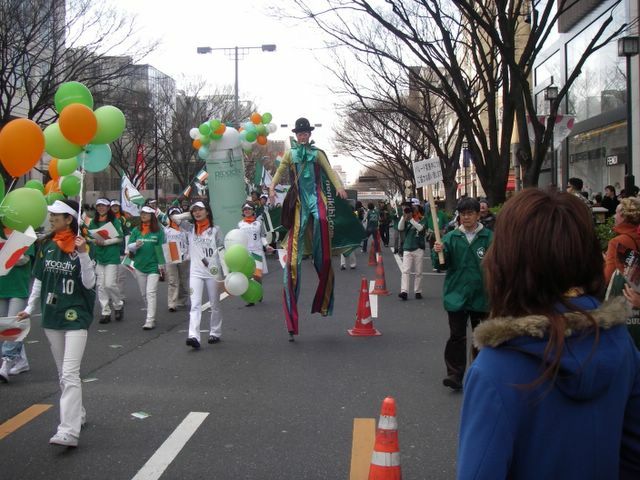 In Japan, schools start in April and ends in March. From this April, it starts of two periods school system in our city. From this November children get autumn holidays in one week. It will be first experience. I have plan to go abroad obscurely. This is a my younger son. He was a good boy, always very curious. One day he went shoping with his older brother and his mother. While his mother selected her new clothes, they went to the other floor which displayed toys. About ten minutes after, his mather came mothers quickly. His older brother told that he had poo!!! He is really into a game now. He insisted he does not have poo. But it is stinky. When a salesclerk heard it, she was more surprised than his mother. After that, I trust that you imagine it. If you are eating something, I have to say "I'm sorry for posting that story." Also some people posted my blog about St.Patrick’s Day. So I was really interested in it. 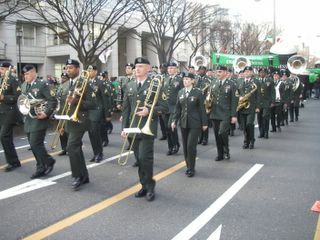 I heard there are St.Patrick’s Day Parades in Japan too. Therefore we went to HarajyukuOmotesandou which is famous town in Tokyo. 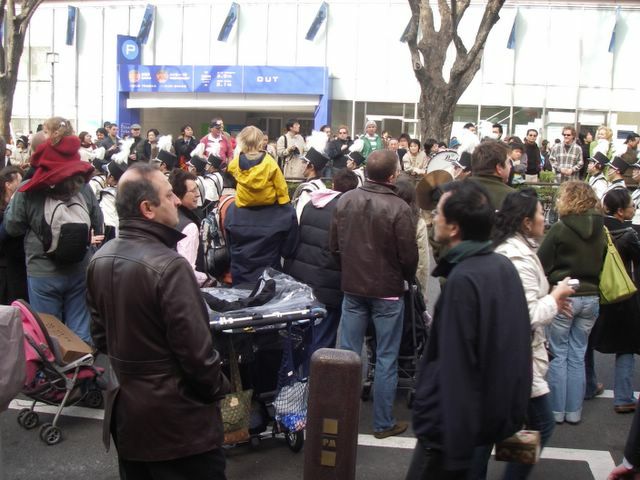 I have not ever seen a lot of foreigner people in Japan.I recognized a lot of foreigner visit in Japan. We arrived at Perth, at first, we went to McDonalds . I ordered a kids meal for my son. But they couldn’t understand my order. I could see that they were troubled very much. A young man and a woman asked something. And I couldn’t understand what they asked me . But after a while , my son made me to go it again. So he just wanted to eat a kids meal and want a toy. I tried to buy a kids meal again. "I would like to have a kids meal, kids meal' drink is orange, and one hamburger and ice tea for me." I bought them at last. I was very glad for using my English. Then we went to McDonalds almost every day in Perth. Because my son likes hamburgers, f which the taste are same as in Japan. I thought we ate for one year. Truthfully, it was hard for me. By the way, why aren't McDonald shops in Perth clean? My son asked me. The costumers didn’t return their used trays. This winter we couldn’t have enough time to go skiing. We couldn’t directly enjoy it. But winter is over. I like spring. But my eyes are puffy, and itching. Also my nose is running. Because of there is hey fever in Japan. I thought there are fever suffers only in Japan. 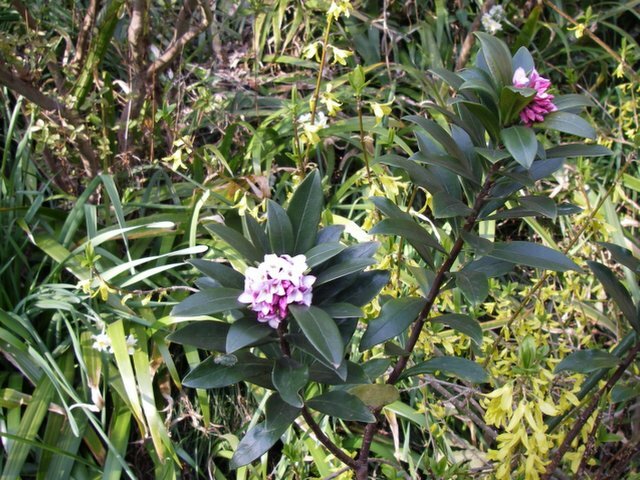 in this year, but hay fever suffers have a really difficult time. 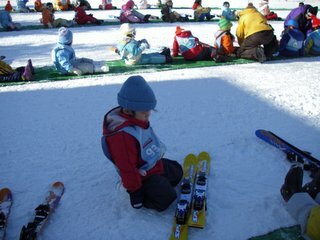 My younger son goes to a preschool which is different from kindergartens in Japan. 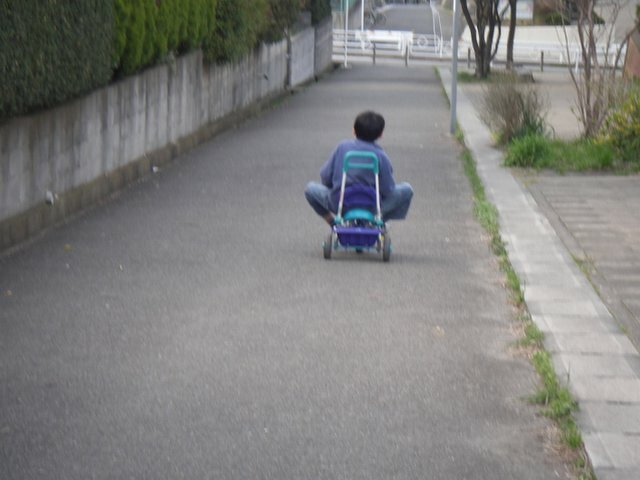 Japanese kindergartens don’t take care of our children from morning until night. I have a full time job. 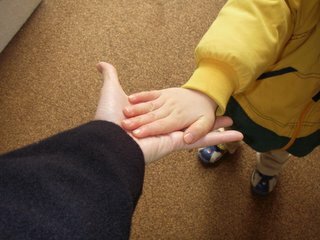 I need the preschool, which takes care of my younger son from 8 o’clock am to 7 o’clock pm. When we say good bye every mornig, we give a five. 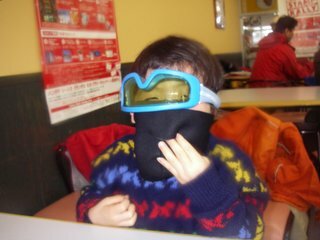 It is called "Pachin” in his preschool. When I am busy, I someteimes feel a little annoyed. 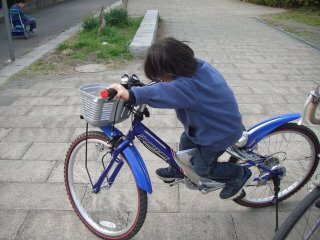 He is four years old boy, who grew up quickly. Ten years later from now, maybe he will not want “pachin” with me. I have to admit his growth. But when it comes to me, I will feel a little sad. Would you get angry if someone crashed into your car? Yes, I'd get angry. And I'd demand that my car should be repaired.But I usually crash into something. Did you ever get angry with a teacher at school? Yes, I did. 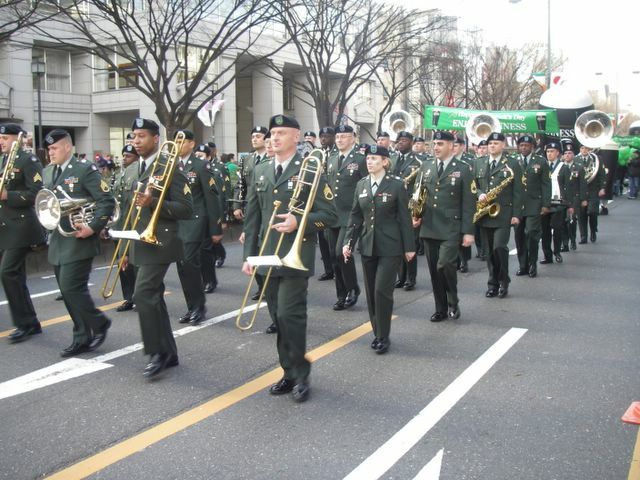 They walked across a crosswalks in red lights, When I was an elementary school student. I thought we could walk across crosswalk during red lights. Have you ever gotten angry in a shop or restaurant? Yes, I have. I hoped that our order wanted to them bring our dinner in perth of Chinese restaurant. But they argued they we were busy. And we should put up with waiting. What would you do if the hairdresser gave you a terrible haircut. I'd just say I don’t like my hairstyle. I can put up with it. Do you think it’s okay to get angry, or should people try to stay calm? A few years ago, I strained my back. I could hardly carry my son. So I went to a nearby Acupuncture clinic. The acupuncture doctor(Acupuncturist) said, “you have too much stress in your back(You have much stress a lot of) , therefore you get stiff and you get headaches. “　So I had been to it several times. Now I get fewer headaches. Mom: We’ve called everyone together to announce some rules for our family. You can’t watch any TV program today. And you have to go to bed at nine. Son1: Excuse me. I’d like to ask a question. Does that mean we can’t watch TV on weekend? Son1: But we usually watch about one hour. Son2: Wait a minute. I want to watch Pikachu, MAMA! have sleep enough. If you watch the TV, you can’t have sleep enough. Let’s move on to the next topic. Son1: Okay. Let’s go to take a bath. Recently they said children don’t have sleeping enough, it is difficult to get over 9 hours in Japan. Sleeping time influences children growing. But it is difficult to make them go to bed early. They want to not sleep. So they become quiete about over 10 o’clock. What time do your children go to bed every night? Or when you were a child, what time did you go to bed? 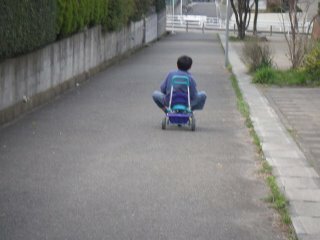 I think the people of other country people are strict about children behavior. Of course it depends on familys' situation. Last week, I got a comment about my blog from my friend by e-mall in English. She is my old friend, who calls me “Lucy " from our young age. And she is the only friend who knows my blog address in Japan. Actually I don’t say anything about my blog to my brothers, my coworker，and staff. But by chance, I had sent her e-mail in January. So she read my blog, and she sent me her impression. We graduated from school a long time ago. I wish I would go backto beeing a student. I try to learn English again. So I wish I had studied harder. These dolls are in my younger son’s preschool. He is interested in them. He wanted touch them. So I have to notice his behavior. 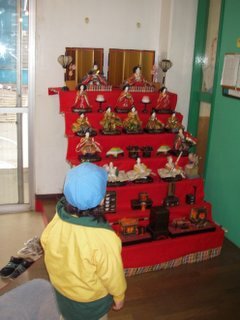 The Doll Festival is for girls. If he was a girl, we might celebrate it. Recently Japanese’s house are not big. Parents like dolls smaller than them. I went to Australia about three years ago. And I learned English for only a week in an English school. Sometimes the British English teacher used "blah blah blah" in the class. When she told us something similar in the sentences, she used “blah blah blah”. We Japanese thought that was funny. Because we have this word in Japanese. 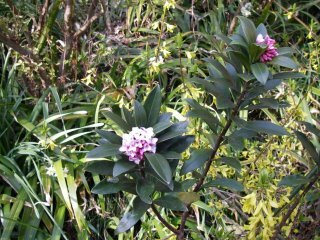 I think its pronunciation is to similar to Japanese. Can you understand my English??? Sometimes I rewrite my blogs in red. I have lots of wrong spellings. Before I posted something, I will check it in Microsoft Word which is smarter than me.